So I'm still exploring my new Canon D600 (Rebel t3i). I'm trying to get to the point where all of the Lenses that I used on my old EOS 630 SLR work on the new camera. I keep running into hitches here and there. First there was the error message on 70 - 210 telephoto lens. That problem I chalked up to not only the damage that has been done to the lens over the years (one bad drop that bent the lens prevents the gears in the lens from focusing to infinity. So, I'll be using that lens on rare occasions. 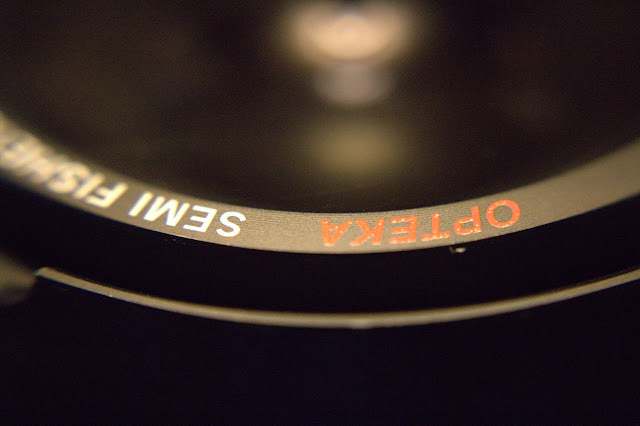 The next problem that I attempt to tackle is with an opteka semi-fisheye/macro attachment lens. It screws onto the end of most lenses. I used to use it with my 50mm 1.8 EF, but when I tried to use it on this new camera the only thing that I got was super blurry pictures and a camera that had a hard time focusing on the macro level. I originally thought I had a fungal problem in the 50mm lens. I almost cried. In fact, the originally title of this post was going to be " I think I have a fungal problem in my lens. I did some investigating and thank God I didn't decide to take the lens apart. I shined a nice bright light into the lens in a dark room and found no fungus. So what could be the problem? Do I blame Opteka (too easy) and give up? No way. Plus it's too expensive to just buy another lens... especially if I want a macro and a fisheye lense. I don't know if i'm the only one with this problem or what but it was pretty hard to find information on this. So, I temporarily gave up until I found a 58 to 52 converter ring. Cameras supporting EF-S, however, have more clearance, allowing lens elements to be closer to the sensor than in the EF mount. The "S" in EF-S stands for "short back focus", which means that the rear element of the lens is closer to the image sensor than on regular 35 mm SLR cameras. The proximity of the rear element to the image sensor greatly enhances the possibilities for wide angle and very wide angle lenses, enabling them to be made smaller, lighter (containing less glass), faster (larger aperture) and less expensive. But what really caught my eye was a chart listing all the EF lenses including my 50mm 1.8. here you can see clearly that the 50mm was not intended to be macro lens. So I'm sure attaching the Opteka to the 50mm EF was throwing the optics in the lens way off. I also don't think the lens in necessarily broken, but with the Opteka attachment on... it seems to have a very, very, very short range of focus that immediately falls into bokeh-licious heaven. Some shots might work with a tripod... but the focused area will still be narrow. I hope that helps someone. The EF 50mm lenses are a group of normal primelenses made by Canon that share the same focal length. These lenses are based on the classic double-Gauss lens, with the f/1.8 being a standard six-element double-Gauss with an air gap and powers between element 2 and 3 and its faster cousins adding additional elements. The 50mm focal length has been widely considered to match the field of view seen by the human eye.When pairing the EF 50mm f/1.8 II to a Canon DSLR with an APS-C sized sensor, photographers must apply a focal length multiplier (also known as a crop factor) in order to get the effective 35mm field of view equivalent. Most entry level Canon DSLRs come with a crop factor of 1.6x, which effectively turns the 50mm focal length into a 80mm field of view (50 x 1.6 = 80mm).